WikiWelcome is about connecting the physical environment with digital development. Students in K-12 are participating in making history and creating digital content on different Web platforms. WikiWelcome is based on a Swedish model, but the method is transferable to various learning environments. Museums, Archives, and educators worldwide are able to generate their own local WikiWelcome projects, creating an educational program to promote a platform where free knowledge can easily be shared. There are various possibilities for museums, archives, and other cultural institutions to be involved in the process. The institutions could run WikiWelcome as an education program, set the parameters for the project, and encourage schools to take part and in the same time support the students with sources and references from the collections. 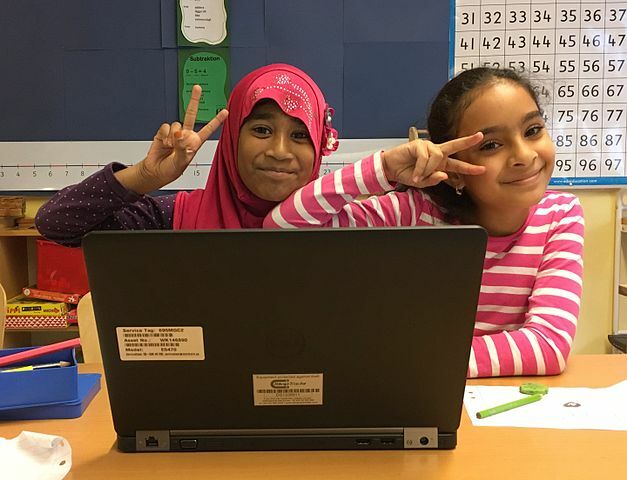 The WikiWelcome method is based on practical experience from our OER-project (open educational resource) with 230 students in K-12 education from both minority and dominant communities in the city of Stockholm, Sweden. Together with their teachers, students have tested and evaluated the method and its process. Stockholmskällan, the Stockholm digital archive for schools (https://stockholmskallan.stockholm.se/) and Wikimedia Sweden, the Swedish Chapter of Wikimedia (https://se.wikimedia.org/wiki/Huvudsida) piloted the program, which was supported and funded by Vinnova, the Swedish Innovation Agency, with grants explicitly focused on how digital technology can innovate education, until the end of 2017. Young students who are writing about their favourite place in Hjulsta, Sweden, and publishing their facts on Wikimini. WikiWelcome forms a bridge between the digital media landscape and the local knowledge of culture and history, demonstrating how open learning environments enable digital diversity and real-world impact for students in K-12 education. WikiWelcome will enable the students to learn more about their local history and cultural heritage. The learning procedure will start by exploring familiar places focusing on their past, present, and future. This method creates a deeper understanding that history has an ever-evolving and ongoing nature. The students learn about local places and culture through historical sources, such as museums, archives, and libraries; by doing so, they and become active in connecting the physical with the digital. Sweden is a diverse country with students from all over the world and from different socio-cultural and financial backgrounds. Familiar places situated in proximity to the school have the potential to unite all students, regardless of their backgrounds. 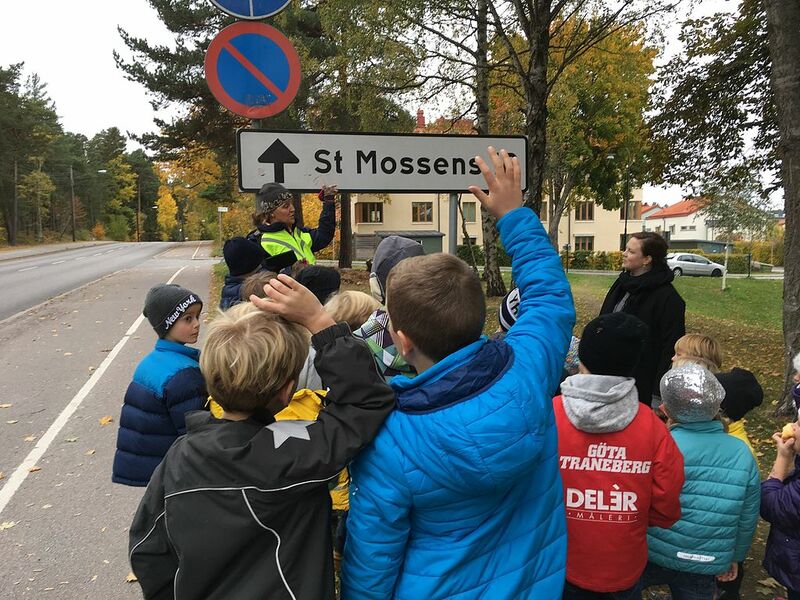 Students and their teacher on a WikiWelcome tour around the neighborhood close to their school in Stora Mossen, Sweden. The students’ first task is to choose a local site where they like to spend time, or a place that has significance to them. The location should be within walking distance of their school. Playgrounds, sports venues, candy shops, libraries, and nature spots became popular sites among the students. The students wrote a personal story about their favorite place and documented it with photographs or drawings. Many students chose to describe their site and linked it to a personal memory that explained why the place was important to them. 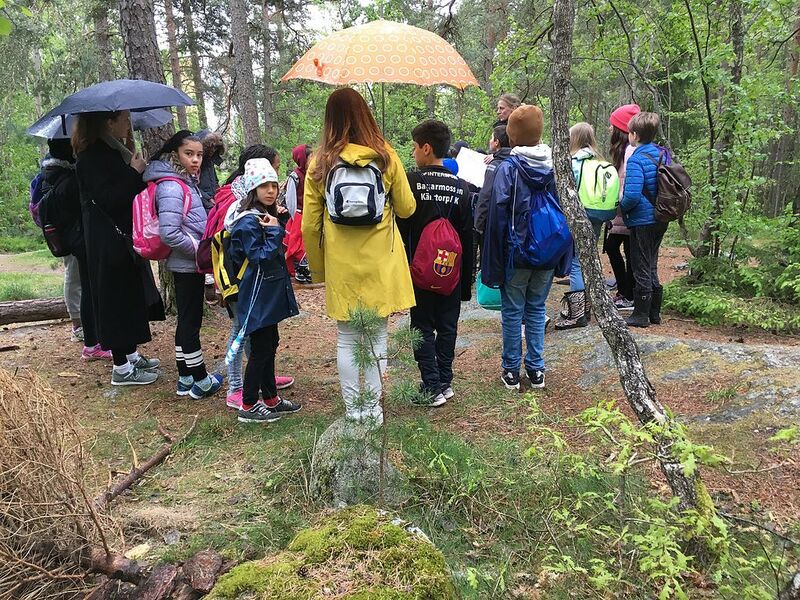 On the website called “Platser med berättelser” or “Places with stories,” (https://app.raa.se/id/platser/) the students published their stories with a photo. “Platser.se” is a free, crowdsourced, online community for the collective memory of the landscape surrounding people in Sweden; the website is run by the Swedish National Heritage Board. The aim is to collect and share everyday life and to form a larger, historically encompassing picture of Sweden. 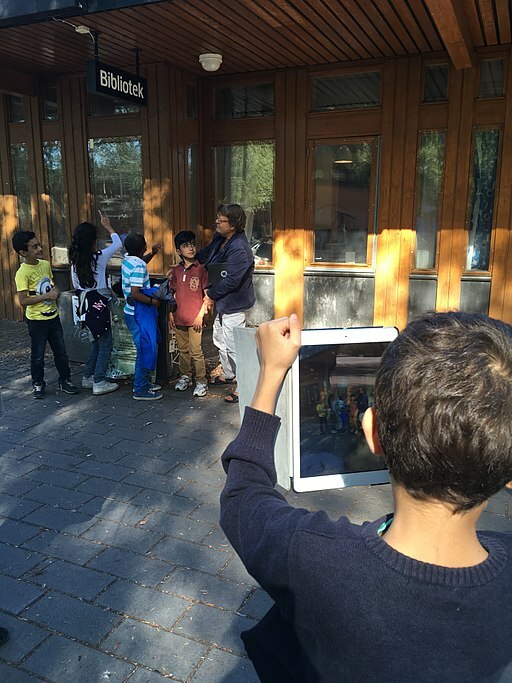 Young students documenting their favorite place; the public library in Hjulsta, Sweden. The next step is to search and find facts to discover the past history of their selected sites. This is a challenge for the students. Local history is rarely or never part of traditional history books. WikiWelcome offers teachers and educators ways to identify useful sources of reference for local cultural heritage. By comparing the archival material from museums and archives with contemporary material, the students could clearly discover how their places had changed over time. The students conveyed a fact-based text about their location, paying attention to accurately citing the information and historic material they had found. The younger students published their texts on Swedish Wikimini (https://sv.wikimini.org/). Wikimini is a free encyclopedia for children, edited by students aged eight to 13. It is organized on a Wiki platform just like Wikipedia, but is age appropriate and has a lower barrier for entry. Anyone can contribute with a new article or improve an existing one. The older students contributed to Swedish Wikipedia (https://sv.wikipedia.org/wiki/Portal:Huvudsida), as it is more age appropriate than Wikimini. Publishing text on Wikipedia rises high demands on source management. Students gain an understanding of sharing knowledge as they observe how other editors edit and improve their contributions. The third task allows the students to reflect on how they wished their local areas to develop in the future. The younger students also drew their vision for the future. Many students wanted their local sites to be left unchanged so that their future children would be able to play and visit the same space. Every school class made an excursion in the area, to have a look and to show each other their personal places. 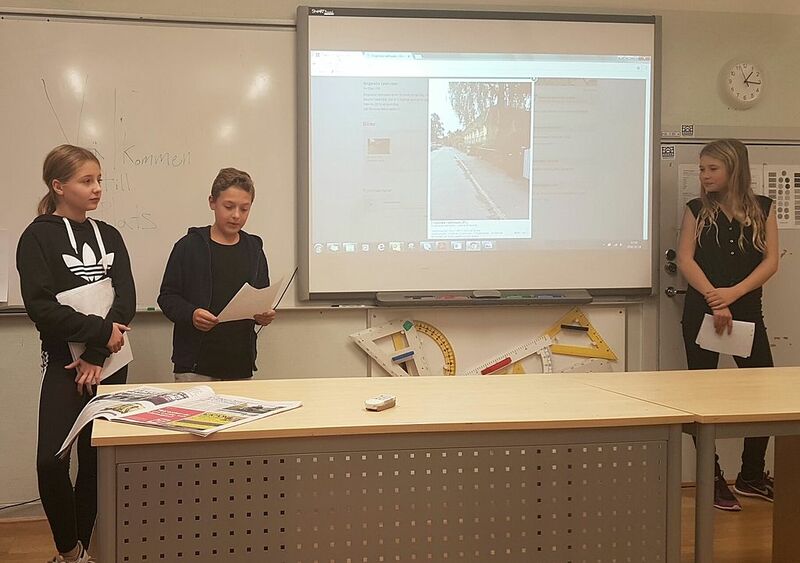 The students’ project evaluations clearly shows how the excursions of the other students’ place of choice provided them with a greater understanding of each other and the different places around the school. A WikiWelcome tour to the forest outside Bagarmossen, Sweden. The students are showing their favorite places to each other. By working with the WikiWelcome project, the students are given the chance to develop their media and information skills by taking the step from passive media consumption to becoming active producers of digital content. Educators can help students experience crowdsourcing, source criticism, and the link between the physical and digital space. The understanding for how the information on Wikimini and Wikipedia is created and edited is an important skill, because that is where many of us turn to seek knowledge today. One teacher clearly pointed out that the students became better Wikipedia users after they had been working with Wikimini. The teacher recounted that students could more closely examine and scrutinize the texts in other ways, and comment on the references. Students who are presenting their work in the end of the project in Enskede, Sweden.